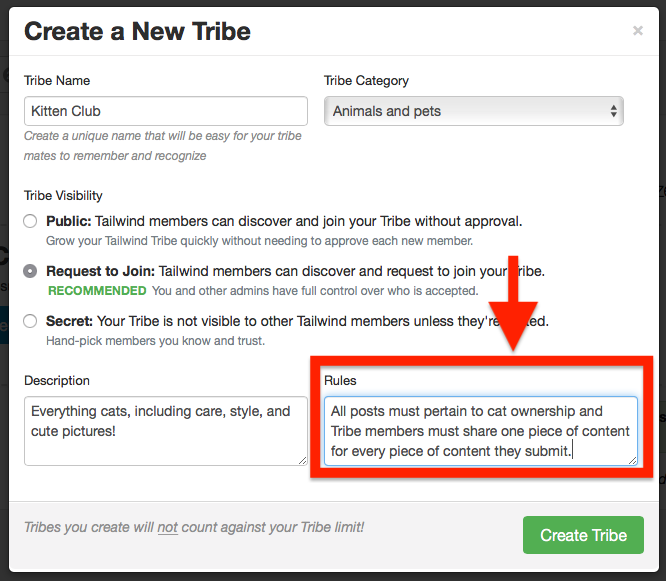 Setting rules for Tailwind Tribes is a great way to let your members know what they can and cannot do in your Tribe. 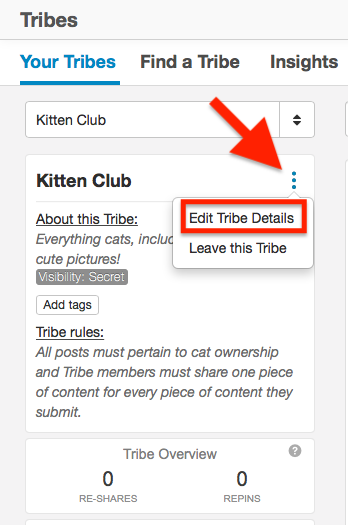 If you would like to add or edit Tribe rules, follow these simple steps. 2. Select "Create New Tribe." 3. Once in the Popup Box, you will be able to fill in the Tribe Name, Description, Rules and Category. After you have entered in your information, select "Create Tribe." 4. Once your Tribe is successfully created you will see your Tribe Rules here. Did you already create a Tribe, but now want to update the Tribe Rules? Follow these simple steps. 2. Go to the Tribe you would like to edit. 3. 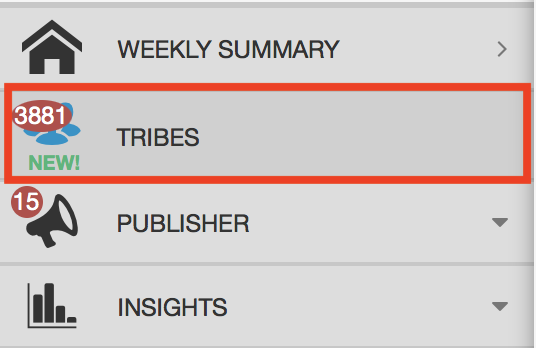 Click the vertical stacking dots to the right of your Tribe name and click "Edit Tribe Details". 4. The Tribes Details popup box will appear where you will be able to edit your Tribe information. 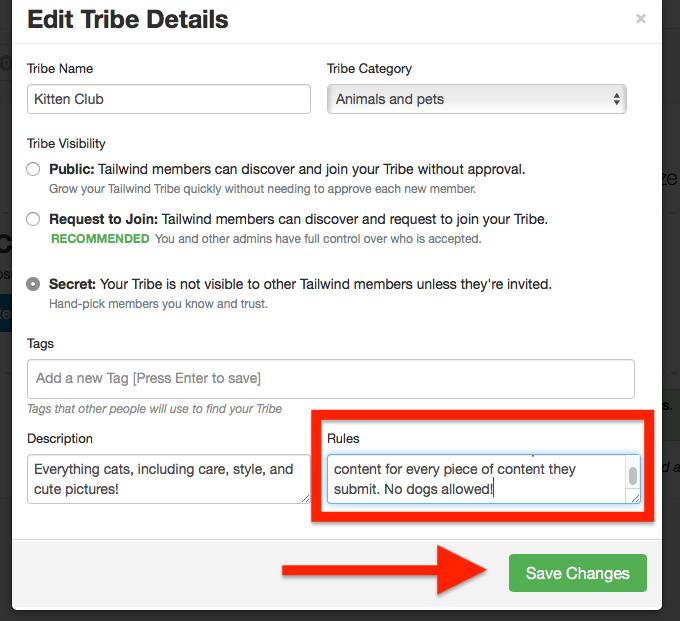 Make sure you select "Save Changes" and see your edits applied to your Tribe rules.